I know I keep referencing the Six Board Games That Ruined It For Everyone article on Cracked.com, but it's such a good article. The Top 100 list on Board Game Geek is awesome, but it doesn't compare bad games to good games the way the Cracked article does. As an interesting side note, I saw that, if you reverse the order of the Top 100 List so that it shows you the Bottom 100, five of the six games from that article are listed. The one that's not? Risk. Which is interesting, given what I'm about to say. The worst part of Risk is victory by excruciation. A well-designed game has tactics and skill building to a climax, a thrilling race to victory, and when someone has clearly won, it's because the game is over. In Risk, someone can win hours before it ends, and they will not let you just admit it and leave. They spent hours carefully planning this victory, and by God you are going to sit there and patiently lose for just as many hours so that they can enjoy it properly. They've turned having fun into a zero-sum game. Don't forget to check out the podcast version of this article! You can listen to it in the embeded media player above! And please let me know what you think. Is this a good idea? Or should I stick to text only? As I progress in my quest to play 80 or more of the games on the boardgamegeek.com top 100 list, I find I'm getting to play all sorts of interesting games. 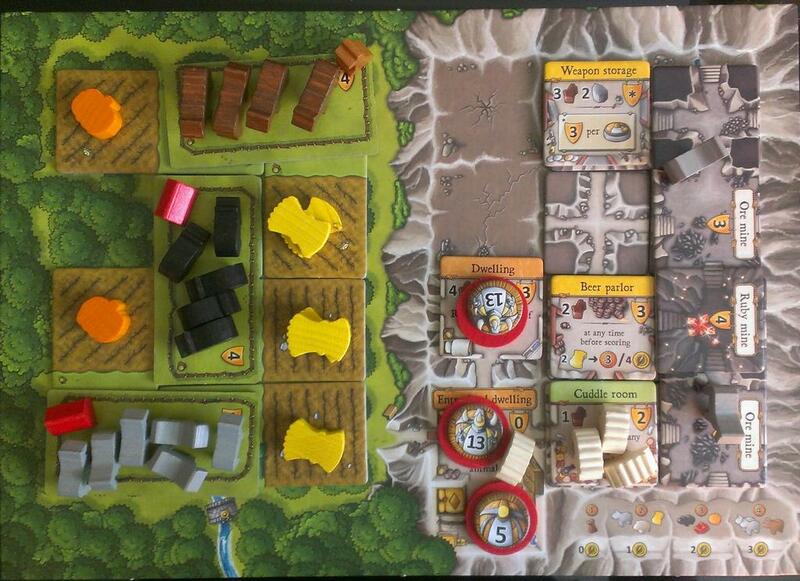 This is certainly what happened last week, when I found myself playing Caverna: The Cave Farmers. I keep hearing that it's similar to Agricola, but as I haven't played Agricola yet, I can't comment on that. 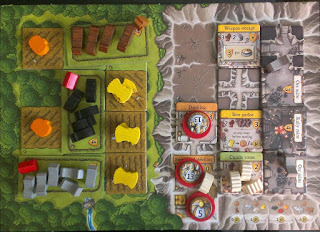 But it does mean that I get to review Caverna. So let's get this started the right way: with a bunch of numbers!